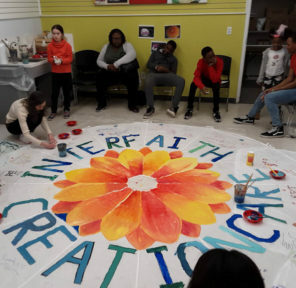 This group gathers dozens of faith groups (of all sects) in the Montgomery County region next to Washington, DC, to find ways to reduce our carbon footprint. 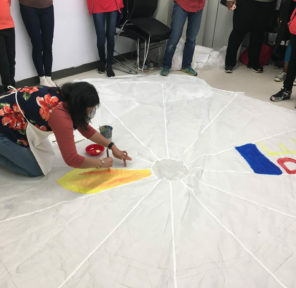 There are multiple activities planned for the spring, 2019, aimed at raising awareness and asking for better climate laws. 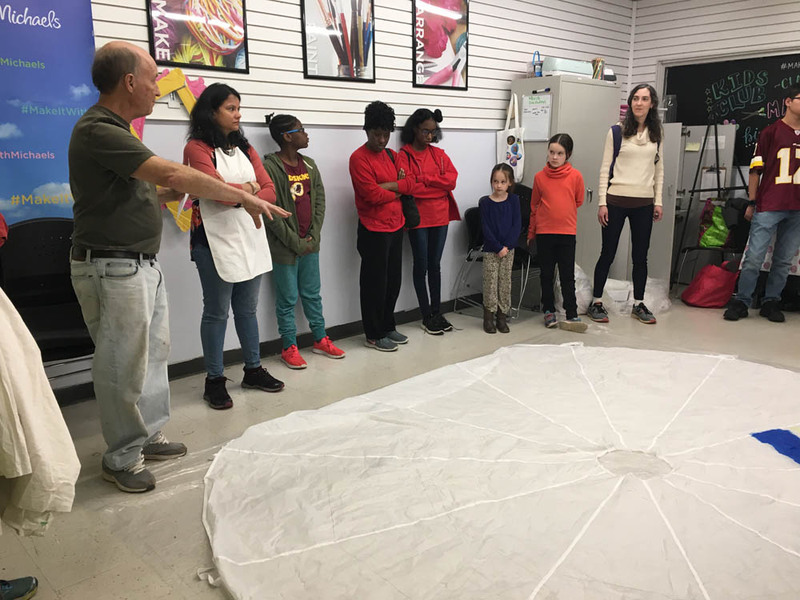 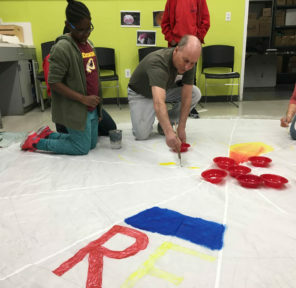 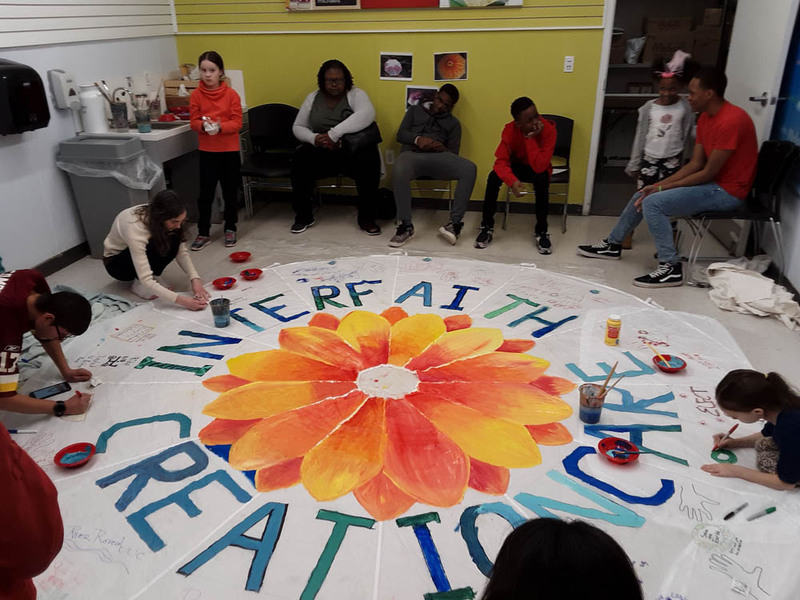 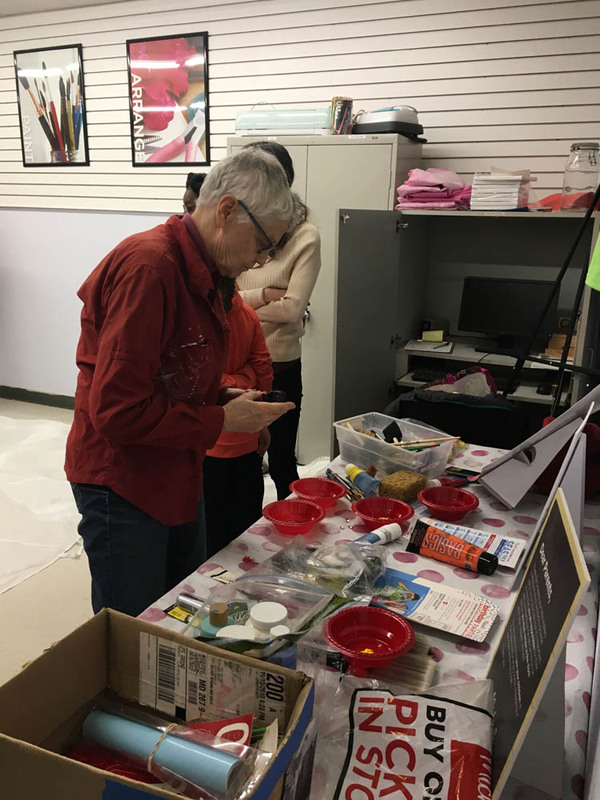 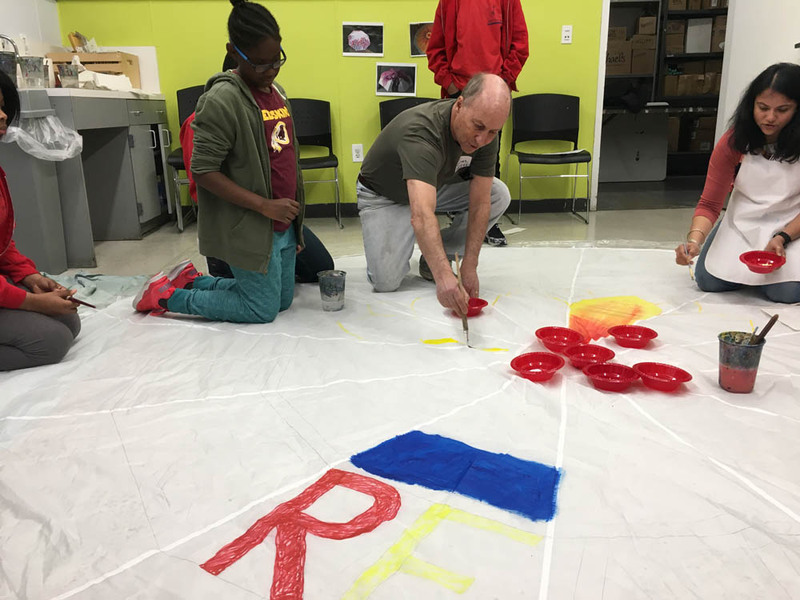 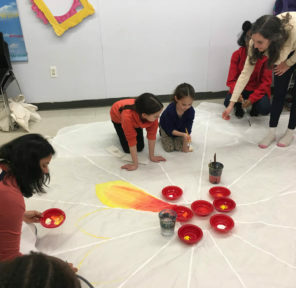 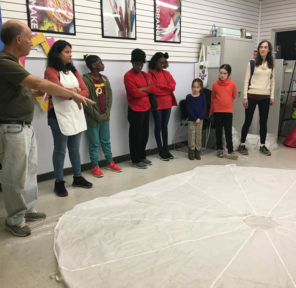 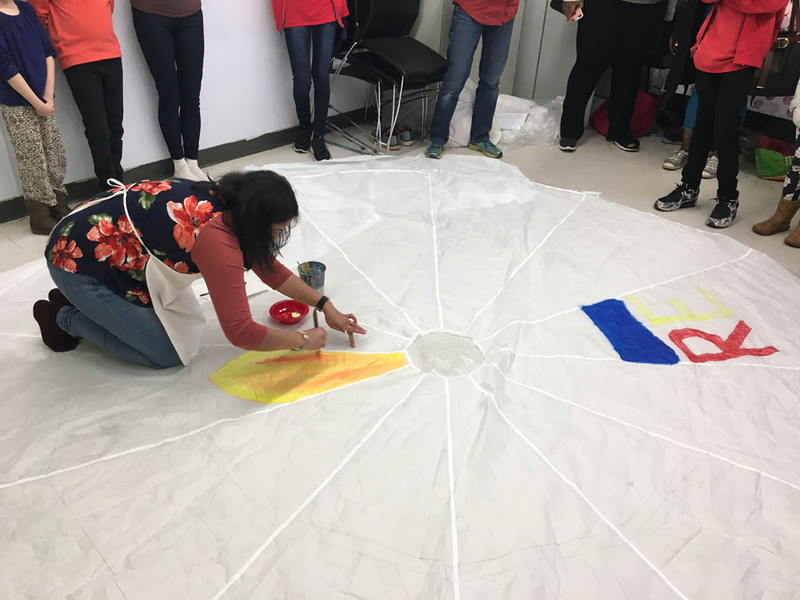 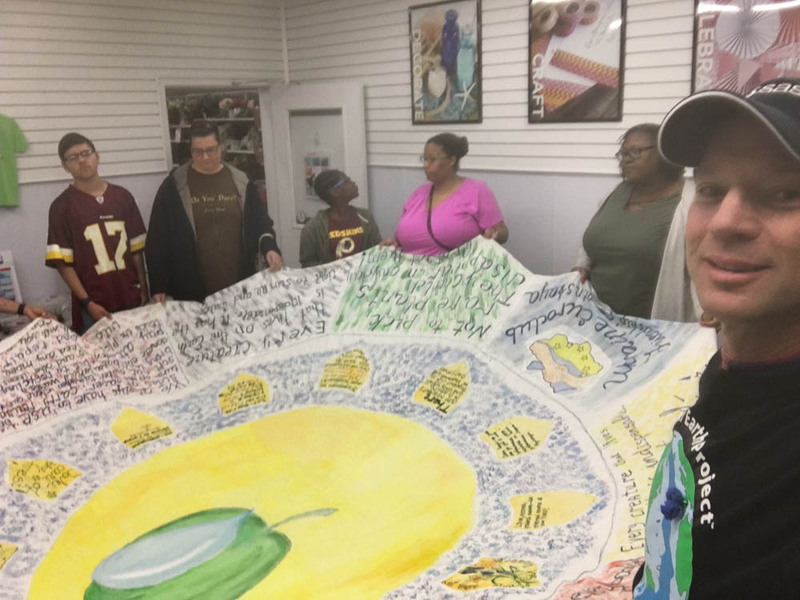 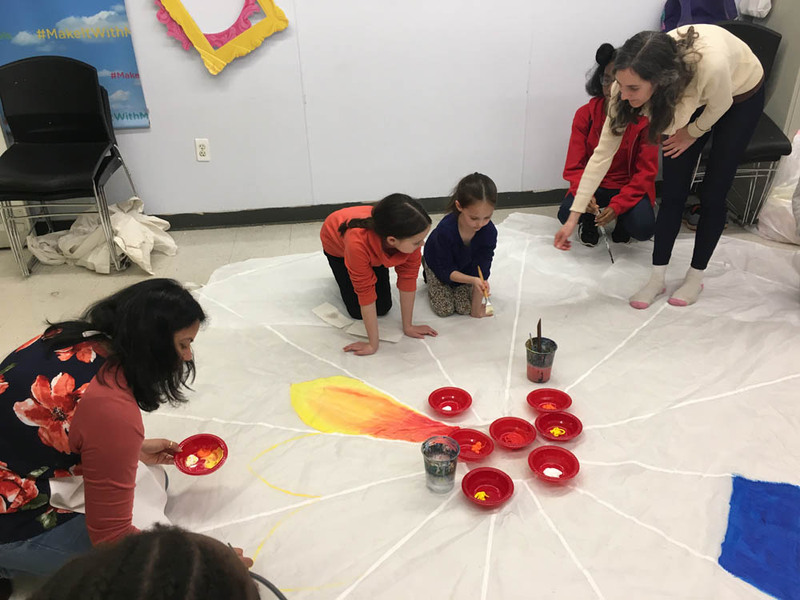 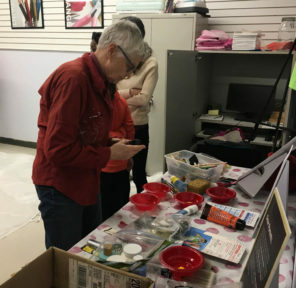 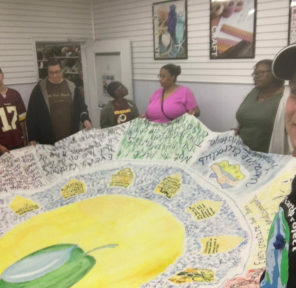 We met in mid March, 2019 at Michaels Art Store in Rockville, Maryland, with multiple religious orgs to decorate a parachute together. 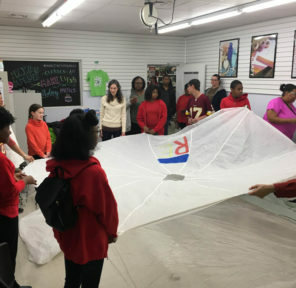 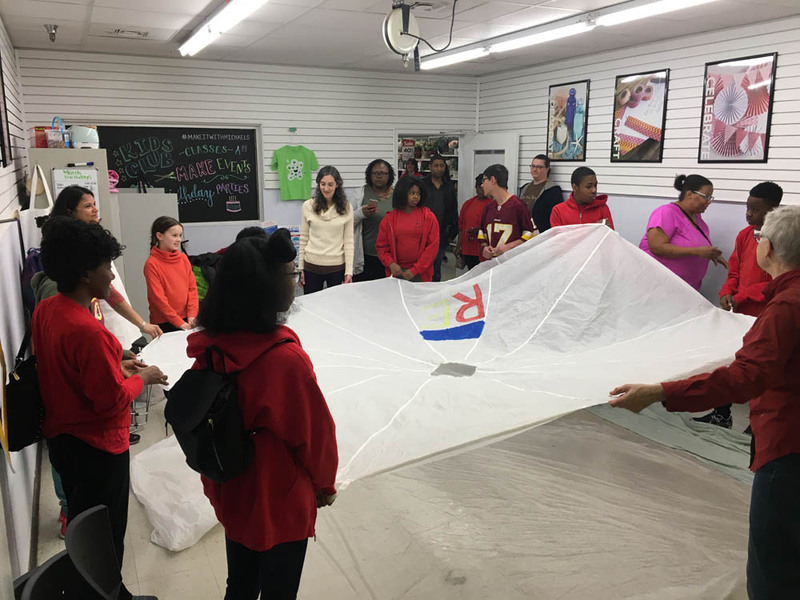 They will take their experiences back to their parishes to begin their own parachutes and spread the idea to other communities.